A dream that bloomed in bespoke of Brahmaputra. A dream that affiants to his root and heritage of the alluring waves of Assam to bring it to the forefront of the world stage. A dream that he wears in his sleeves showing the world magnificent handcrafted handlooms of Assam silk. That is the translation and reviving of renowned Designer Kunal Kaushik's muse. Luxe luxurious, glorious, yet little unknown to rest of the world Assam silk. 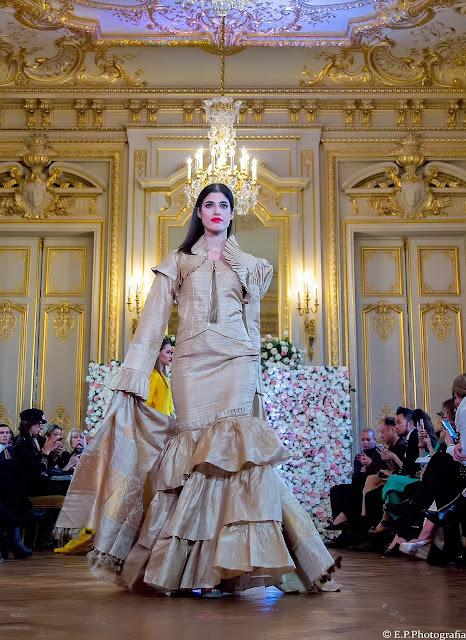 Kunal Kaushik showcased his collection "Looms of Assam" in the prestigious Tiffany's fashion week Paris. He not only showcased it but is back with a bang by owning the best designer in Tiffany's Fashion Week Paris with all the rave reviews. 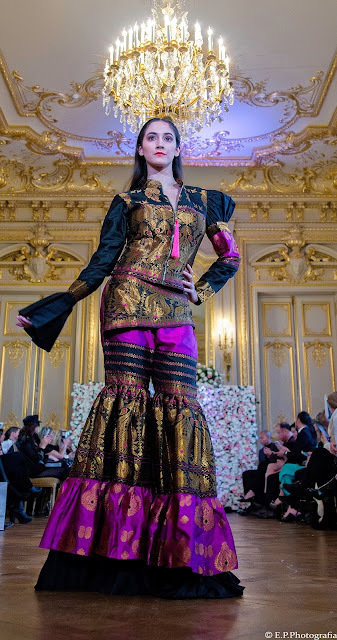 Kunal Kaushik's work is Rhapsody of colors of Assam which translates into modern and chic muse with charismatic cuts, fantastic frills, tassels, alluring fit and ornate in the intricate sustainable Assamese weaves - Eri, Muga and Pat silk. His latest collection for Tiffany's fashion week in Paris "Looms of Assam", at first glimpse is very global, but his Indian-Assamese soul to it has detailings like Riha (a scarf worn inside Assamese Sador especially during auspicious occasion), Pator Sador (Assamese silk scarf), motifs and colors as well with his own rhythm and rendition. In addition, his logo for Tiffiny's fashion week, also written in Assamese accentuates every bit of Indian-Assamese root. 1. Kunal Congratulations on your huge success in Paris and your immaculate work. It is unquestionably a sentimental win for the whole north-east India. How do you feel about it? Kunal Kaushik: Thank you so much. Indeed it's unquestionably a great feeling at being the Winner First Place at Tiffany's Fashion Week Paris Autumn Winter 2017 at Paris. Words seem to desert me as I try to express my feelings at my achievement. And that to an international recognition. Ever since I started, my journey has never been easy. Every bit of my journey until this moment has been one with constant hardship and struggle. Having put one step forward, I have to put two steps backward. But I went on moving ahead since last 17 years persistently and never looked back and without even for a slightest of the moment, expecting a reward or appreciation. But God has been kind. So it means a lot as my belief is now more determined and strong and to further pursues my vision and goal of establishing Looms of Assam in the world market. Kunal Kaushik: My greatest inspiration has always been the ardent sense and desire of creating something new innovative and creative. My Dreams are my basic source of inspirations. In fact, the creative urge has always been the basic source of motivation and inspiration leading to an emotional creative outburst in the form of my designs. Creativity is something inborn in me. It's a God gift. A divine blessing. My mother is a very good artist and designer. She used to make beautiful paintings and design and stitch beautiful garments. So it an inborn gift in me from my mother. I owe it to My Mother. However, my belief and sense of pride in myself, my roots and my family, my culture and traditions, the true colors of my home state Assam and the North East Region are always major factors of inspirations. Kunal Kaushik: Fashion for me is nothing but an extension of art. An extension from my canvas and easel to fabrics and garments. 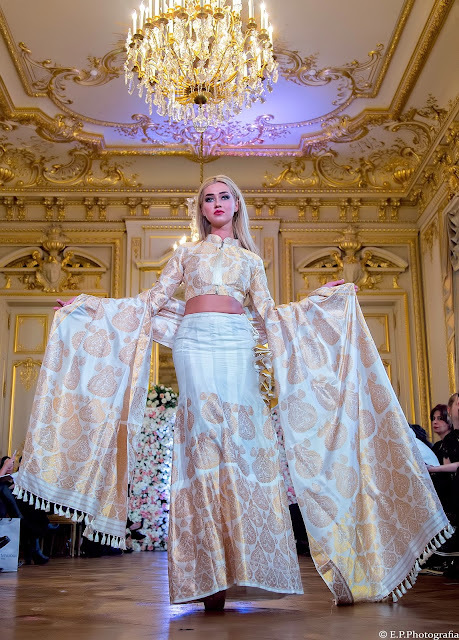 Being a designer, and one with social responsibilities, fashion for me is a great challenge for me in making every person look beautiful, confident, sensible and comfortable, justifying their age, personality, profession, and culture. It's designing a personal fashion statement and style for every individual rather than imposing a particular style and trend. It's about making every individual human being special and extraordinary. 4. Where do you see Assam in terms of fashion in next ten year? Fashion is still in the nascent stage. Grass looks greener on the other sides. Same holds true for us Assamese. We are eyeing the green pastures on the other sides. We are more inclined and influenced by western culture and other trends. While doing this we are paying a very heavy price for the cost of our culture and identity as well as heritage. Our efforts should be to showcase the world what we have and it’s potential. For instance, silk weaving came to Assam along with the Ahoms. It has been so many centuries yet the world is not aware of our mesmerizing silks. I took it as a personal and missionary zeal to show it to the world and dedicatedly work towards it. Nobody believed in me and my vision and my quest. But I did it and Almighty was kind. God opened its doors. 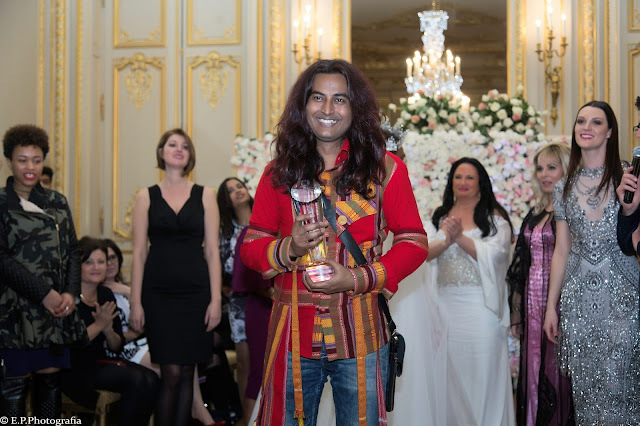 And an Assamese came as a winner in Paris. It means a lot. Especially being from Assam. 5. Can you please tell us about your future projects? 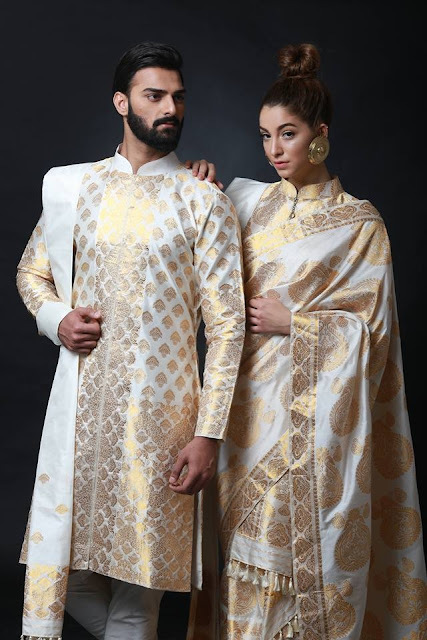 Kunal Kaushik: My Future Projects revolves around the missionary zeal with which I started my career 17 years back, to showcase promote and popularize the handwoven traditional fabrics of Assam and those of the various tribal and ethnic groups of Assam and the North East Region of India. And to create a global market for it. 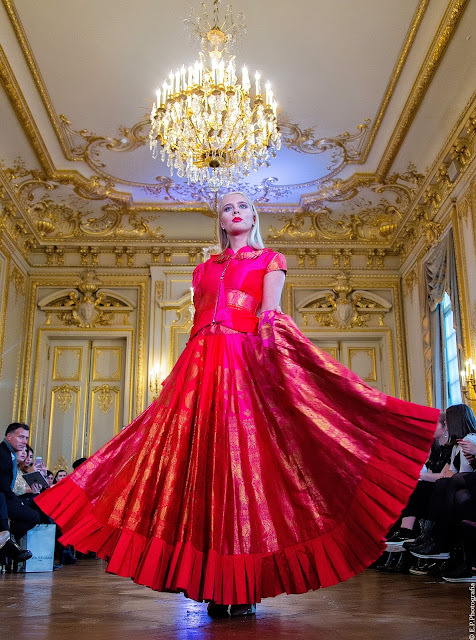 After winning the prestigious award in Paris, I'm next invited to showcase my creations at the glittering Tiffany's red carpet show during the very Prestigious 70th Cannes Film Festival on 23rd May. And then in Paris and Monaco in July. New York in September and Paris again in October. 6. Any advice for upcoming designers who choose fashion as a career? Kunal Kaushik: My advice to upcoming fashion designers is to be more sensible and to believe in their potentials and creativity. And to be a trendsetter rather than being a trend follower. Fashion is all about new innovations and creativity. One should be original to sustain in the long run. Being honest and sincere and hardworking and dedicated and of course, focus on perseverance and to understand the literal essence of being a designer in the true sense of the term. A designer designs and creates. A designer does not copy. So, believe in yourself and hard work. Success will be yours. P.S - All photo credit goes to Kunal Kaushik. Thats so awesome! I am not a fashion buff so I have no idea who Kunal Kaushik is but the dresses look so gorgeous! I would love to have one of those. Thank you so much. Sure ! These dresses look absolutely amazing. I've never heard of this designer before so thank you for introducing me! Yes, indeed. Thank you so much! I have some Indian family so I have always thought that the fabrics they use and the silhouettes they create are absolutely stunning. I love the blue one especially! His work is so expressive and vibrant. I like the pink dress with the ruffled bottom. It is awesome that he helps weavers keep their skill and provides jobs. So true Jen. Thank you so much! Thank you so much Chelsea ! Thank you so much Heather ! WOW! I kept saying to myself "oh that blue dress is gorgeous it's my fav" then I would see the next one LOL I can't even PICK a favorite! SO much detail! So true . Thank you so much! Some of those dresses are absolutely gorgeous! I really love the red one best, which is my favorite color. His creations are magnificent. Congratulations for Kunal for his newest collection! Thank you so much Blair ! All these are absolutely beautiful creations. Thank you for making India proud yet again! Wish him luck and success. How true. Thank you so much! I am glad. Thank you so much Ashley! Those dresses are incredibly gorgeous! Such an inspirational creator with a great eye for fashion! So true. Thank you so much Aimee! Wow, those are really gorgeous! I think the white and gold ones are my favorite - they seem so regal. Thanks for sharing! Gold and whites are my favorite too. Thank you so much. I loved the white saree and kurta, so elegant and evergreen. I haven't heard of Kunal Kaushik before, will check out more details. Sure please. Thank you so much ! These dresses are incredibly gorgeous. I would love to select a few and try them on! So stunning. Jennifer, sure please go ahead. Thank you so much! What a fantastic interview! His designs are GORGEOUS! I love the use of bright colors! Thank you so much Echo! Very dramatic looks. I love the looks and Indian flourishes. The dresses are gorgeous! I just love the detail and color. His work looks amazing! Those dresses are to die for! So true. Thanks you so much ! Such a unique and charming collection! Congrats to Kunal for the success in Paris. That's so cool! I know. Thank you so much Hey! I love the style of this work! It's so different than what you usually see. Same here. Thank you so much Emily ! These dresses are so incredible!!! I love every one of these pieces! They're all stunning. I always admire anything with an exotic flair to it. They are certainly statement pieces! So true Laila. Thank you!